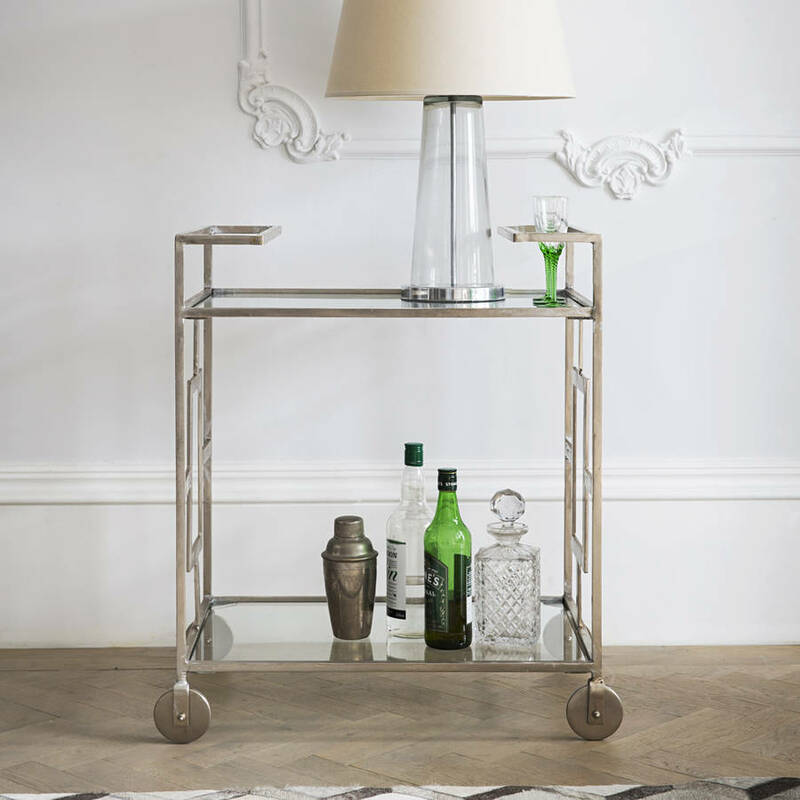 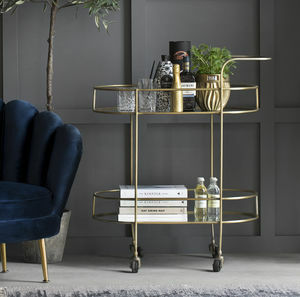 This stylish drinks trolley will become your perfect party companion. 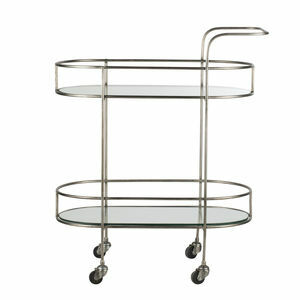 Beautifully constructed in nickel plated iron with two toughened glass shelves. 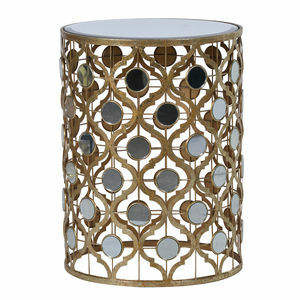 This product is handcrafted from natural materials and therefore slight variations may occur from piece to piece. 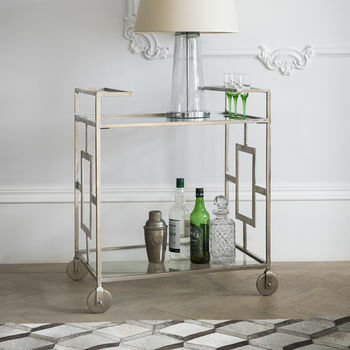 This item is classed as a heavy / furniture product and requires a two-man delivery. 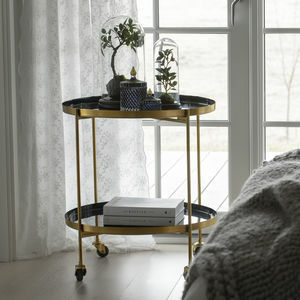 This product is dispatched to you by Atkin and Thyme.